Samsung Gear Fit 2 Pro priced at Rs 13,590 will be available on Flipkart from 11th December 2017. 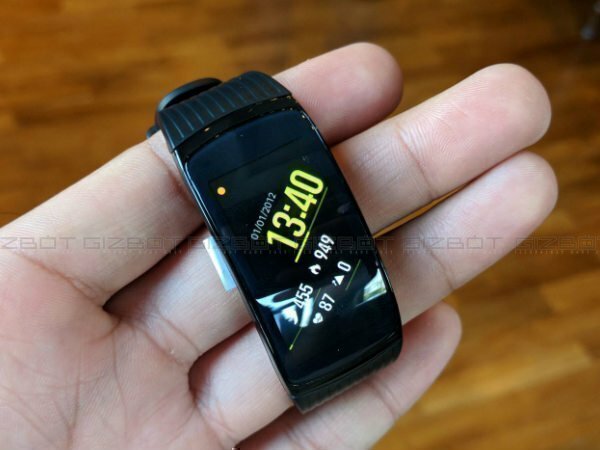 Flipkart, India's largest e-commerce marketplace, is all set to introduce Samsung's latest device - Samsung Gear Fit 2 Pro exclusively on the platform. The smart device priced at Rs 13,590 will be available on Flipkart from 11th December 2017. The Samsung Gear Fit 2 Pro, the successor to the vastly popular Samsung Gear Fit 2, is a sleek and lightweight device packed with smart features. It comes equipped with best in class technology like Super AMOLED display, inbuilt GPS that enables continuous heart rate monitor and sleep tracker, water resistant up to 50m, making it ideal for swimming. The inbuilt storage feature in the device allows to store up to 500 songs that enable users to leave their phones at home/lockers during a workout. In addition, the device supports Activity Tracking through partner apps such as Speedo, UnderArmour, and MyFitnessPal, which gives a holistic view of the user's fitness status. Commenting on the partnership, Adarsh Menon, Vice President & Head of Electronics and Private Labels, Flipkart, said, "IoT category on Flipkart has grown by 90 percent over the last one year, evidencing the move towards a fitter and smarter life consumers are adapting to. Partnering with Samsung to launch Gear Fit 2 Pro comes at a time when consumers are on a lookout for deeper engagement between self, community and partner ecosystem." He added, "This device is seamlessly integrated with all these and serves as a comprehensive solution for consumers' daily fitness and lifestyle needs. The launch builds our position in this category as the leaders in smart wearables segment"